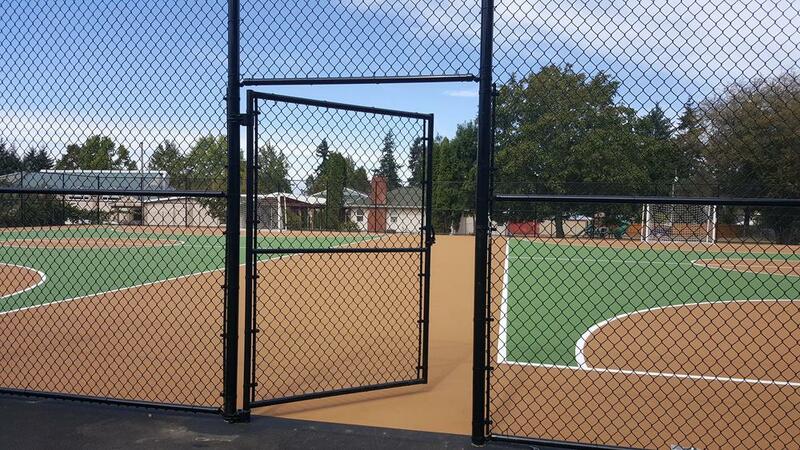 King's Court is a pair of youth-sized futsal courts located at Martin Luther King Elementary in Portland, Oregon. The complex is the second project of Fields For All, a collaboration between Operation Pitch Invasion and Stand Together, the community outreach program of the Portland Timbers. King's Court was built on the grounds of a decommissioned tennis court that was already being used by students at the school as an impromptu futsal court. The project completely overhauled the space with a new surface, goals, and flexible design that will support local youth and school programs. The project was opened to the public August 17, 2016. 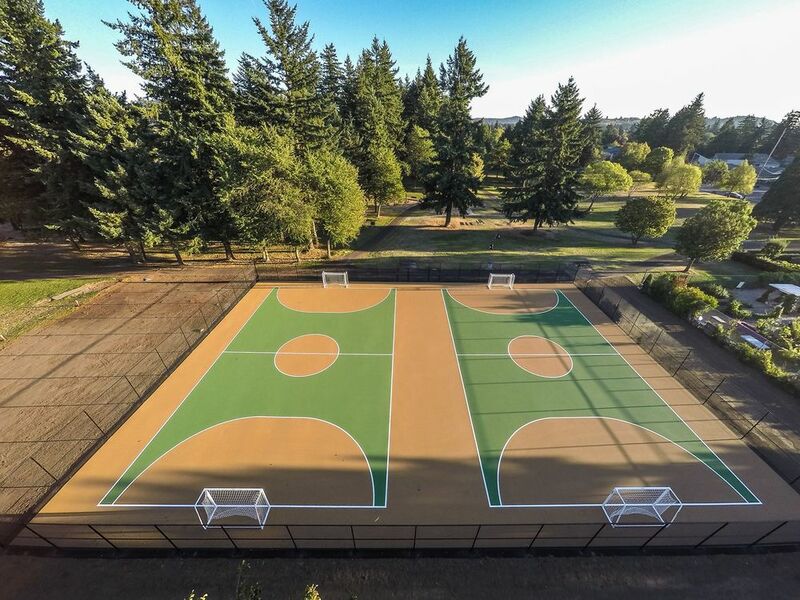 SNAKE Court is a pair of youth-sized futsal courts located in Vance Park in the city of Gresham, Oregon. The complex is the first project of Fields For All, a collaboration between Operation Pitch Invasion and Stand Together, the community outreach program of the Portland Timbers. SNAKE Court was built on the grounds of a decommissioned outdoor roller hockey rink that had been unused for years and had become a place where local children and young people gathered for casual soccer games on a rough patch of concrete. It came to the attention of Fields For All in early 2015, when the Rockwood Initiative, a community group dedicated to enhancing quality of life for children in the community, explained the need for and potential benefits of a capital improvement on the site. SNAKE Court is an acronym that stands for "Sports, Neighborhood, Action, Knowledge and Empowerment." 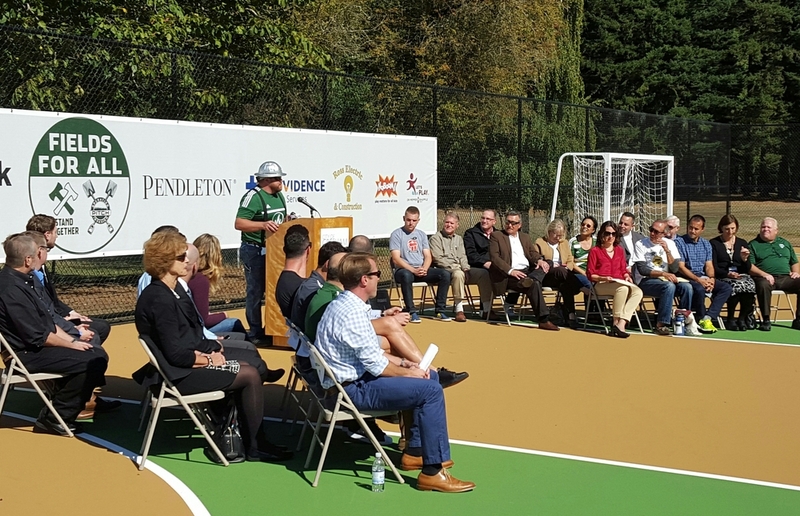 The $100,000 project was opened to the public September 23, 2015.
a partnership between Let’s Play, Dr Pepper Snapple Group, Active Children Portland, US Soccer Foundation, and KaBOOM!